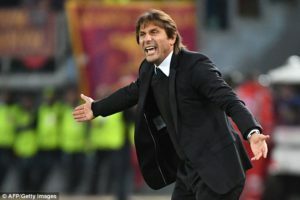 Reigning English Premier League champions Chelsea are on the brink of sacking charismatic Italian manager Antonio Conte following the latest fall in form for the London outfit. Chelsea lost 4-1 away to Watford on Monday on succession to 3:0 hammering at home at the hands of Bournemouth last Wednesday. The British press reported on Tuesday that the London giants have called a board meeting on Tuesday to decide the manager’s fate. Chelsea owner Roman Abramovic has shown no loyalty to managers ever since he took over the team in 2002, firing more than 10 managers in the last 15 years. Conte started his reign on a high, winning the premiership in his first season, but his second and current season has turned into a nightmare, with tensions between himself and the board over the transfer policy and targets. Conte said after defeat at Watford on Monday that he doesn’t care being sacked from the Chelsea job but insisted that he was eager to finish his 3-year contract he signed in 2016. 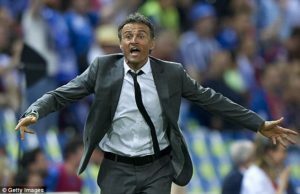 Luis Enrique is close to replacing Antonio Conte as Chelsea manager, according to reports.